Most condo owners know there’s a balance between cost and benefits when it comes to being a member of an association. You don’t always get what you want, and no one likes paying dues and fees. But a well-managed condominium owners’ association (COA) really does improve the community for everyone. If that goal is important to you, the thought of seeking a position on the condo association board may have crossed your mind. Here are some factors to consider before taking on this kind of responsibility. Why do you want to be on the COA board? There are many common reasons people take on this role. They may want to protect the value of their property, fix ongoing issues, or get to know their neighbors better. Some people like the chance to take on a leadership role to acquire new life skills, gain prestige, or simply give back to their community. If your motivation and desire is to serve and implement ideas for improvement, you’re likely to have a good experience. It’s fine to have an agenda to change things for good. Prepare yourself to spend the first few months getting an idea of how things work behind the scenes. Build rapport and trust, because you’ll need allies if you want to make positive changes. If you are looking for a spot on the board because you have a pet peeve or a score to settle, things may not turn out the way you’ve planned. 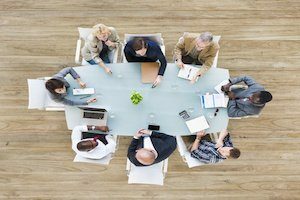 It’s tempting to think that wielding some power as a board member will help you get your way. However, it’s just as likely that you’ll face backlash. Especially since you may not be on the board after the next election. The time commitment for being on a board varies. It’s probably going to take more of your time than you expect—at least at first. That’s because you really do need to read and understand all the governing documents, and that’s not light reading. You’ll also need to attend meetings and carry out any assigned duties. Depending on your role, this may involve researching and managing vendors, handling correspondence with association members, sitting on a committee, keeping minutes, doing financial reporting, or meeting filing deadlines. You may also be approached by your neighbors with questions (or complaints) at any time. Talk to previous and current board members about what to expect in terms of how much time to set aside in your schedule for handling this volunteer responsibility. From a legal standpoint, you have a fiduciary responsibility to act in good faith and in the best interest of the COA as a whole. You should be well-informed prior to acting, not have a conflict of interest, and never act without proper authority. Keep in mind that you can be personally liable for negligent or knowingly harmful actions, so never act rashly to “get back” at anyone. Treat this role as you would if you were a board member of any non-profit. One of the most frustrating things about being on a condo association board is a sense of futility when you can’t seem to get things done. Here are some of the character traits and habits to cultivate if you want to be more effective. Fairness: Hold yourself and other board members to the same standard as other residents. Flexibility: Don’t be afraid of new technology or fresh ideas. Open-mindedness: Listen to the insights of others and be willing to change your mind. Humility: Ask for help and be willing to receive help when it’s offered. Learn to delegate. Practicality: Realize you can not make everyone happy all the time. However, look for ways to get everyone at least some of what they want. Calmness: Don’t take things personally, and don’t get too emotionally involved in decisions. One of the most common reasons condo board members fail to be effective is because they get bogged down in the administrative and procedural side of things from running meetings to chasing after past due payments. That’s why we encourage condo associations to find a management company to deal with day-to-day issues and compliance with regulations. At Ardent Residential, we make a point of streamlining everything from recordkeeping to reporting, bylaw enforcement, and fee collection. We can even facilitate meetings, keeping things on track and allowing board members to focus on high-level decision making. Our goal is to ensure board members can be informed, empowered, and effective—making their volunteer efforts worthwhile. Contact us today to learn how we can ease the burden for your COA.